Happy Guy Fawkes Night! Are you off to see any fireworks? We went to a family bonfire last night, it's an annual tradition. And tonight we're planning to go and see the fireworks although the forecast looks like pouring rain. Might have to be a display on Saturday instead! 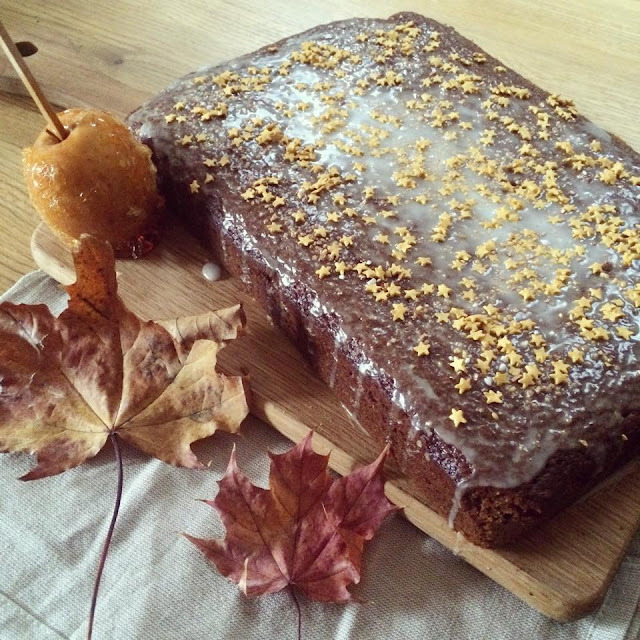 The blog is over a year old now and some things remain constant like baking this gingerbread traybake every year for the 5th November. As such, I blogged about it last year. I made it again yesterday and some of you on Instagram requested the recipe. So I'll send you to last year's post here. It's a classic and your house will smell all treacly for the rest of the day after you've baked it. I got the gold star sprinkles from Sainsbury's to go on top. Enjoy the pretty fireworks, sparklers and toffee apples! A magical time of year. p.s This tells you all you ever wanted to know about Bonfire night.